Camp for €18,- a night at Campsite Domaine St. Laurent in low season with CampingCard ACSI. Campsite Domaine St. Laurent, located in Montferrand (Aude), is a campsite with 35 touring pitches. With your CampingCard ACSI you can camp on one of the pitches during the following periods: 30-03-2019 - 05-07-2019 and 31-08-2019 - 01-11-2019. At this campsite you can not only use your CampingCard ACSI for inexpensive camping, you can also use your ACSI Club ID (as an alternative ID). Spaciously landscaped campsite with large pitches. 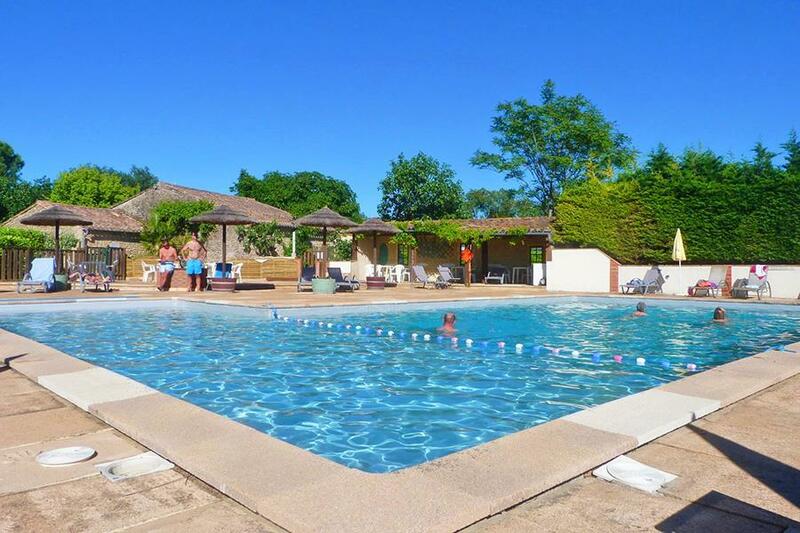 Ideal campsite for those who want to get to know the area around the Canal du Midi. We did a last minute stopover at this site. The owners were very amenable to us turning up late. We had a fabulous pitch (no 1) with breathtaking views down a valley and across to the Pyrenees. All very peaceful.... Until a midnight rave kicked off in an adjacent wood. Local youths\' Friday night entertainment? ACSI directions not right if coming from south. Come off at Junction 20 if you do. Access is not easy if you have a Motorhome as you end up on long winding single track roads with few passing places. That said the site was gorgeous. We stayed an extra night and cycled 5 km to Canal du Midi. Beautiful countryside. Pitches excellent but grass only. If it had rained not sure about egress. CampingCard ACSI will send your information request to "Campsite Domaine St. Laurent".